The Brigadier... Lives! An exclusive interview with Hannah Haisman. This weekend saw the surprise return of one of Doctor Who’s biggest icons. No, not the Master… Brigadier Alistair Gordon Lethbridge-Stewart. 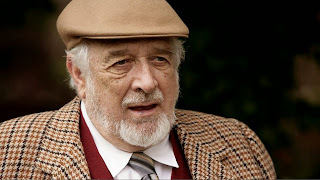 The character died a couple of years ago, following the death of the actor who brought him to life, Nicholas Courtney. The Brigadier has been a large part of Doctor Who since 1969 when he appeared in command of UNIT in The Invasion, preparing the way for a five-year run alongside Jon Pertwee’s Doctor beginning the following year. But the character first appeared over a year earlier in the six-part serial, The Web of Fear, as a colonel in the Scots Guard. He was a one-off character never intended for such longevity, created by freelance writers Mervyn Haisman and Henry Lincoln. 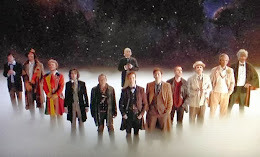 However, in a recent interview in Doctor Who Magazine, then-script editor Derrick Sherwin has claimed that he created the character ignoring the fact that The Invasion was a result of a gap in the schedule after a couple of other scripts failed to work out. Without some kind of precognition on his part, it does seem a very odd claim. To counter this curious comment, I recently spoke to Mervyn Haisman’s granddaughter, and the executor of his literary estate (which includes, of course, the Brigadier, the Great Intelligence and the Dominators! ), Hannah Haisman. Type 40: Hi there, Hannah. If you could start by telling us a little about your grandfather, and your experience of him. Hannah Haisman: My Grandad was a truly amazing person. 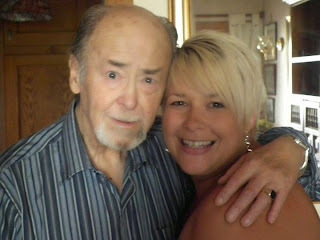 He was one of the most important, special and influential people in my life. In my teenage years, I spent a lot of time with my nan and Grandad, often spending a night or five with them. I used to love sitting in Grandad’s study whilst he worked. I would spend hours looking at the hundreds of books on the shelves and admiring his RADA certificate hanging on the wall, the Onedin Line flag, the photograph of the Yeti from Doctor Who, the huge poster of Jane and the lost city and various family photographs and portraits. I can remember asking for Grandad’s help when I was studying Shakespeare for my English Literature GCSE. At fifteen years old my idea of a good read did not include Shakespeare. Grandad directed me to the mass of books upon the shelves and it was from there my love of literature grew. When my grandad passed away in 2010 it broke my heart. A few months earlier on one of our bi-weekly phone calls, he had told me that I would be left the majority of his literary estate which included the rights of his work and use of characters. Up until then, I obviously knew that he had written for many well known shows as I was the one who used to chase up the BBC when they hadn’t paid him royalties! But since taking on the role of literary executor, I have learned so much more about his many writing credits, the much-loved characters he created and what people thought of him. Type 40: Including Derrick Sherwin? Hannah: I knew that they had a hate hate relationship. It has been well documented in the past, but the latest interview Sherwin has given that slanders the memory of my grandad has rendered me gobsmacked. In DWM (issue 479) Sherwin calls my grandad and Henry ‘hacks’. Now in the writing world, that is about the worst thing you could call a writer. My grandad had over eighty writing credits to his name and Henry is an extremely successful author. This in itself should show that they are not ‘hacks’. Compare this to Sherwin’s credits. I am not 100%, but to the best of my knowledge he has twelve writing credits to his name, of which three were re-writes at the time of his short tenure as script editor on Doctor Who. He then got the producer gig for about a year before being replaced and spent a total of only five years in television! That somehow makes him someone who is qualified to make the comments he has about my grandad and Henry? As for them being bloody-minded and un-enthusiastic; this may have had something to do with who they were working with and his attitude, which is evident in most of his interviews. 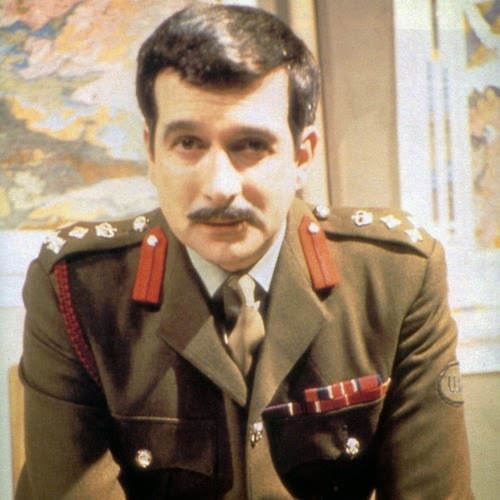 Type 40: Regarding his claim that he, in fact, created Lethbridge-Stewart, how do you respond? Hannah: This is laughable; the man must be deluded. Type 40: It is a well documented fact that the character of Lethbridge-Stewart was created by your grandfather and Henry Lincoln. Sherwin, almost certainly without intention, secured their legacy by bringing the character back the following year. Looking back on this, how does this make you feel, considering Sherwin's public bad mouthing of your grandfather and Lincoln? Hannah: He obviously thought he was in the right. I know Grandad was pissed off with him using the Brig and that he had to fight with the BBC for many years to secure royalties. I'm over the moon that by doing this, bringing the Brig back, Sherwin secured Grandad’s legacy, and I know Grandad would be chuckling about it. Type 40: The Brig, and indeed the Great Intelligence, has been around in Who for a very long time now. The Brig even made it to Nu Who, via The Sarah Jane Adventures. Russell T Davies approached your grandfather about this... Do you know how he felt to be finally asked beforehand? Hannah: Very emotional. He was over the moon and held Russell T Davies in very high regard as he had taken the time to ask him. That is all he ever wanted; recognition for what he had created. Type 40: Fans have recognised his contribution for many years. Indeed, when the 1995 independent film Downtime was made, the producers approached Haisman for permission. In that film, author Marc Platt created a daughter for the Brig. You only discovered this last week. 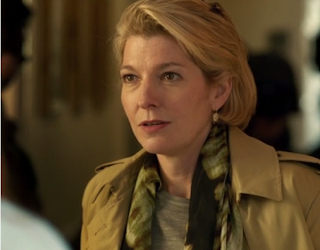 What did you think of the news that the Brig continues on through his daughter? Hannah: I'm extremely happy that the Brig lives on; sad that they dropped the Lethbridge in the surname to save money. But in all seriousness, seeing an offspring of a character my grandad created is like seeing a part of him on screen. Type 40: In fact, you could say art imitates life. While Kate carries on her father's legacy, you carry on your grandfather's. Women now run the house. Type 40: You saw last weekend's episode, and was surprised, as many were, by the return of the Brig. What did you think of that moment? The whole episode seemed to be haunted by his ghost. Hannah: I cried. Happy cries but as soon as Capaldi saluted I got it. I was so proud that grandad’s character was still being used. Type 40: How do you think your grandfather would have taken it? Hannah: He would of poured another scotch, swore, giggled and said ‘why a Cyberman!’ Grandad would even have raised a toast to Sherwin for helping his character live on. Type 40: One way to gain immortality. Type 40: It seems the Brig is always out there in some way. Do you think we've heard the last of this icon of Doctor Who? Hannah: NOOOOOO! I'd hate it if he were to remain a Cyberman: that is the only monster that has had me hiding behind a pillow! I have high hopes for the Brig and I'm sure this won't be the last time you see him. Type 40: But do you not think that if they bring him back again, it would cheapen the moment? The idea that he lives forever? Hannah: Yes and no. I'd hate for him to be a Cyberman, but maybe a form of a higher consciousness to Kate. I say this as a daddy’s girl. Type 40: Higher consciousness... A great intelligence perhaps? Type 40: So, your grandfather's legacy has lasted forty-six years. It seems the Brig's story is over. Hannah: The Brig will always be around, if I have any say in the matter, and I do. There is a time in his life that nobody knows about…YET! And with that intriguing remark, it seems our time is up. Thank you for talking with us, Hannah. Here’s to another forty-six years of Sir Alistair Lethbridge-Stewart, and your grandfather’s legacy!